In sensible times, today’s figures on the number of offenders caught with knives who are sent to jail would cause a national uproar. More than two thirds of knife criminals in the West Midlands were spared jail last year, a depressing picture that is mirrored across the country. But these are anything but sensible times, and the majority of people in modern day Britain are resigned to the fact that our criminal justice system is weighted heavily in favour of the lawbreakers. Prison is not the only solution to the knife crime epidemic that is sweeping across Britain. Youth work, community initiatives, partnerships between the police and schools, and mental health interventions all have a part to play. But the role of our police and courts is key when it comes to holding all of this together. Many of our hard working and over-stretched police officers find it incredibly frustrating that they can put a criminal caught with a knife before a judge, only for the culprit to walk out of court with a suspended sentence or a community order. Despite claims from ministers that the Government is tough on crime, the figures tell a different story. And while there are strict sentencing guidelines in place, all too often criminals are spared jail after a judge is presented with a sob story from a defence lawyer. There are exceptions. We have carried the story of a young man who received a 16-month prison term for carrying knives. In this case the judge rightly argued that the public deserves to be protected, but such wisdom is too frequently lacking from the courts. Anyone caught carrying a knife should be sent to prison, no ifs, buts or maybes. And for those who use blades to cause harm, the punishment should be severe. 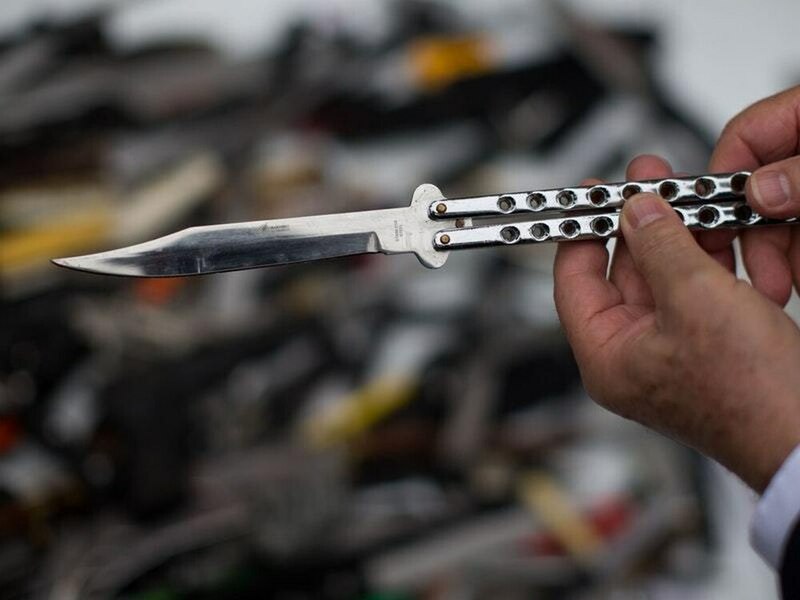 Many young people now carry blades as a matter of course, knowing full well that if they are caught they are highly unlikely to see the inside of a jail cell. As a country we need to address the social issues behind knife crime, but for any approach to work it must be backed by the criminal justice system.